What better time to take a trip down south than during Spring Break? Instead of following the tourist beaten path to all-inclusive resorts, why not try a unique Spring Break vacation to the Amazon Rainforest or the Galapagos Islands with your friends or family. An Amazon River cruise or Galapagos tour is guaranteed to be one of the most unforgettable and powerful vacation destinations you could choose for your family. 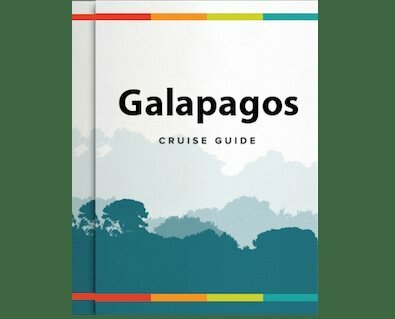 The Amazon and Galapagos have some of the most stimulating culture, endemic wildlife and ancient history on the planet, not only will your family be entertained, but they will also be learning as they travel. Whether you are a family or a group of college students, Rainforest Cruises has a cruise for you. Both the Amazon Rainforest and the Galapagos Islands are dream vacation destinations, high-up on travelers' Bucket Lists. The Amazon Rainforest is one of the most biodiverse areas on Earth, home to an astounding array of flora, mammals, birdlife, invertebrates and marine species, much of it entirely endemic to the region. The rainforest covers almost 40% of South America and extends into 9 countries. It is also home to one of the largest river systems in the world, the Amazon River. The Galapagos Islands on the other hand, make up a paradise archipelago for any nature lover. These Ecuadorian Islands offer some of the rarest animal sightings in the world amidst a gorgeous background of volcanic landscapes and glimmering blue waters. Read on below to see your options. If you can't decide between the two destinations, why not Combine an Amazon Cruise with a Galapagos Tour. Exposing children to new cultures and environments is a great investment in your child's future and now, Amazon family cruises are becoming much more common. The Amazon rainforest will surely keep young children and teenagers entertained with all of the stunning scenery and fascinating flora and fauna. It is important to note that families are welcome on all cruises, but not all cruises cater specifically for kids, and most have minimum age requirements. Rainforest Cruises has selected the best suited Amazon river cruises for Families. Selected riverboats have books, board games and video games available for children to be occupied during lounge hours. The riverboats selected for family Amazon cruises are family-friendly, meaning, the cabins are spacious enough to add a foldable bed, or have interconnecting rooms. Options for Family Amazon Cruises: Iberostar Grand Amazon, Anaconda, Amazon Ecoboat, Jacare-Acu and Cattleya. The best way to experience the fascinating habitat of the Amazon Jungle is by river cruise. While travelling deep into protected reserves and through different ecosystems, you'll be able to try your hand at various activities. Fish for piranhas, swim with pink river dolphins and visit a local school. Some Amazon cruises offer stand-up paddle boarding, river kayaking and canopy bridge walks. For students, activities in the Amazon rainforest are never ending. Options for student Amazon Cruises: Perla, Lo Peix and Jacare-Acu. When planning a Galapagos cruise for your family, it is important to note that not every cruise will accept children on the ship. Make sure you check with the cruise operator before you book with regards to their minimum age requirements. That being said, once aboard a family-friendly cruise, your kids will surely have a blast. The complete ecosystem of the Galapagos Islands is like a science and history lesson in one, but a lot more fun. Kids can take part in a number of water activities, including kayaking, swimming and snorkeling for the older kids. On these activities they are likely to experience close-up encounters with animals they have never seen before, especially not in the wild, including sea turtles and sea lions. A few great options for Family Galapagos cruises are: Galapagos Legend, Coral I & II and Petrel. For those students who study marine biology or geology, the Galapagos Islands are a dream destination. We're sure however, that despite your major, the Galapagos Archipelago will be one of the most fascinating places you'll ever visit. The wildlife and unique beauty of the islands are just the beginning. The activities to do on the Galapagos Islands are what make Galapagos cruises so much fun. Imagine snorkeling next to playful sea lions, sea kayaking around a pod of dolphins or scuba diving with sharks! The activities on and off the islands are endless. A few great options for students are: Galapagos Legend, Coral I & II, Galaxy and Galaxy II. If you are planning to travel to the Amazon or the Galapagos Islands with a large group, a cruise charter may be the best option for you. Chartering a cruise boat means that you will have the entire cruise boat to yourself and your group. Along with the boat, a fully trained team of staff, crew and guides will accompany you, so you and your group can just sit back and relax. An Amazon riverboat or Galapagos cruise charter is great value, and ideal for student and educational groups, families, nature documentary teams or corporate groups. Contact us for more information. Interested in taking a cruise to the Amazon River or the Galapagos Islands this Spring Break? Contact us today and a travel specialist will be happy to assist you. You can also give us a call: 1-888-215-3555 or visit our FAQ page.